You Are Here: Home > Why Change Your Oil? Engine oil provides three key functions. First, it keeps engine components working together. Secondly, the inside of an engine, a place where there are thousands of controlled detonations happening every minute, can be a hot place, and oil helps draw heat away from the combustion chamber. Lastly, it helps prevent carbon and varnishes from accumulating in the engine. There are many types of engine oil, but it’s pretty easy to determine what kind you should use in your car. Your owner’s manual should tell you the appropriate viscosity of oil – like 5W-30, for instance – that your engine requires, and the viscosity may also be stamped on the oil reservoir cap on the engine itself. 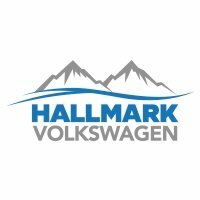 If you have questions about what oil your car takes give Hallmark Mitsubishi a call and we can let you know what oil you need. Oil changes are often recommended when a certain mileage or time limit is reached. The most conventional interval is 3,000 miles or three months. We at Hallmark Mitsubishi recommend 3,000 miles if your car uses regular oil. 7,500 miles if you use full synthetic. The EVO is full synthetic but because of the performance engine it needs to be changed every 3,000 miles.